ignorance – Racial prejudice is an insidious moral and social disease affecting peoples and populations all over the world. It is diagnosed by the cataloguing of its various symptoms and manifestations which include fear, intolerance, separation, segregation, discrimination, and hatred. While all of these symptoms of racial prejudice may be manifest, the single underlying cause of racial prejudice is ignorance. Historically, a race of people is defined as a population with distinguishable biological features. While all humans belong to the same species, Homo sapiens, races are distinguished from one another by such characteristics as hair color and texture, skin color, eye color and shape, size of limb and body parts, and facial organs. Though scientists have reached the conclusion that these differences amongst peoples are superficial and have further agreed that all members of the species Homo sapiens have more characteristics in common than different, mankind itself continues to view each other from the features that are outwardly perceived. Indeed, humans are outwardly different in appearance; the problem arises when the symptoms of the disease become evident: intolerance, separation, and hatred. In a positive vein, one may embrace the differences of peoples across the face of the earth and marvel at the uniqueness of individuals who live on a different part of the globe or across the street. Racial prejudice perverts this uniqueness of the races and takes the view that these differences separate individuals further into groups, with one group being inferior to the other (Racial Prejudice – What Is It?). ideologues – A bigot is aware of their prejudices and defends them. The bigot is not necessarily crazy, nor illogical, nor does the bigot necessarily expect anyone to think as they do. The bigot has opinions and defends their opinions as their own. As such, when you approach or confront the bigot they are likely to respond, “I am not racist”. They might be attempting to say “I am not a Racist”, meaning that they don’t try to convince others – that they are not ideologues. That fact does not change the content of their opinions, which are racist. If you are a racial bigot, it is because you have internalized and accepted racist ideas. A bigot in this sense is quite obviously racist. That doesn’t necessarily make them dangerous as a person, but certainly destructive as a citizen. It is not the personality of the bigot with which the race man should concern himself, rather his attachment to foul ideas. Often, bigots are simply enamored of holding strongly to controversial ideas without much regard to the logical consequences of such ideas. They often defend their ideas on the matter of race by denying that they have any power to effect change or hurt anyone (bigotry vs prejudice vs racism). stereotypical beliefs – Racism is a broader experience and practice than racial discrimination. It is an ideology that either directly or indirectly asserts that one group is inherently superior to others. Racism can be openly displayed in racial jokes and slurs or hate crimes, but can also be more deeply rooted in attitudes, values and stereotypical beliefs. In some cases, these are unconsciously held and have evolved over time, becoming embedded in systems and institutions, and also associated with the dominant group’s power and privilege. 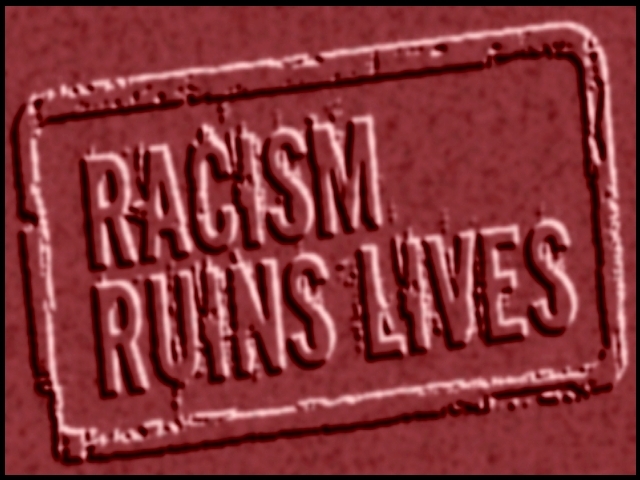 Racial discrimination is a legally prohibited expression of racism. It is any action based on a person’s race, intentional or not, that imposes burdens on a person or group and not on others, or that withholds or limits access to benefits available to other members of society in areas covered by the Code. Race only needs to be one factor in a situation for racial discrimination to have occurred. Racial harassment is a form of discrimination. It includes comments, jokes, name-calling, display of pictures or behaviour that insults you, offends you or puts you down because of your race and other related grounds (RACISM & RACIAL DISCRIMINATION: Your Rights and Responsibilities). Racism is the belief that there are inherent differences in people’s traits and capacities which are entirely due to their race, however defined, and which consequently justify those people being treated differently, both socially and legally. Alternatively, racism is the practice of certain group/s of people being treated differently, which is then justified by recourse to racial sterotyping or pseudo-science. Those who disagree with the proposition that there are races or that there are such inherent (ie. 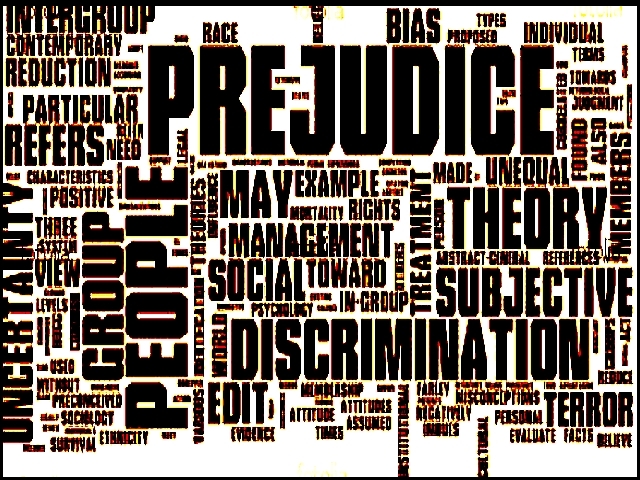 non-personal, social or cultural) differences regard any differences in treatment of people on the basis of those criteria as being racial discrimination. Some of those who argue that there are such inherent differences also argue that one race is inferior over another race. In the case of institutional racism, certain racial groups may be denied rights or benefits, or receive preferential treatment. Racial discrimination typically points out taxonomic differences between different groups of people, although anyone may be discriminated against on an ethnic or cultural basis, independently of their somatic differences. According to the United Nations conventions, there is no distinction between the term racial discrimination and ethnicity discrimination. There is some evidence that the meaning of the term has changed over time, and that earlier definitions of racism involved the simple belief that human populations are divided into separate races. Many biologists, anthropologists, and sociologists reject this taxonomy in favor of more specific and/or empirically verifiable criteria, such as geography, ethnicity, or a history of endogamy (Wikepedia). Racism in the Philippines – Why are Filipinos Racially Prejudiced Towards Africans/Black People?